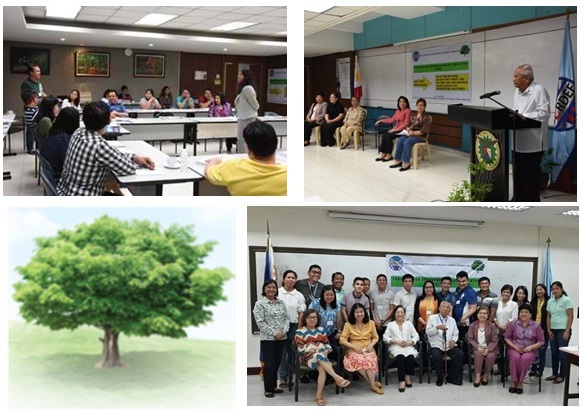 TREE programs conducted regularly by SERDEF are endorsed by the Commission on Higher Education (CHED). TREE seeks to orient secondary and collegiate level faculty and trainers in schools and non-formal training institutions on the concepts and theories of entrepreneurship using new teaching methods and techniques. The training participants will benefit from the program which is designed to enhance entrepreneurship educators’ skills in in encouraging and preparing students for an entrepreneurial career. The Small Enterprises Research and Development Foundation (SERDEF) will conduct the Training for Entrepreneurship Educators (TREE) program on November 27-29, 2017. Two TREE programs were previously held in 2016. Sessions for the workshop include the following: Role of Entrepreneurship in Economic Development, Achieving SDGs through Entrepreneurship Education, Characteristics and Competencies of the Entrepreneur, Ethics in Entrepreneurship, How to Start and Run a Small Business, Global Trends and Challenges in Entrepreneurship Business Education, Mainstreaming Entrepreneurship in Grades 11-12, Effective Teaching Models for Entrepreneurship in Higher Education, The Teaching-Learning Process, and How to Organize Students On-The-Job Training in Entrepreneurship. Interested faculty and trainers may register for TREE through Ms. Catherine Ruflo at telephone numbers (632) 355-5348 and (632) 355-5529 or at serdef1976@serdef.org.